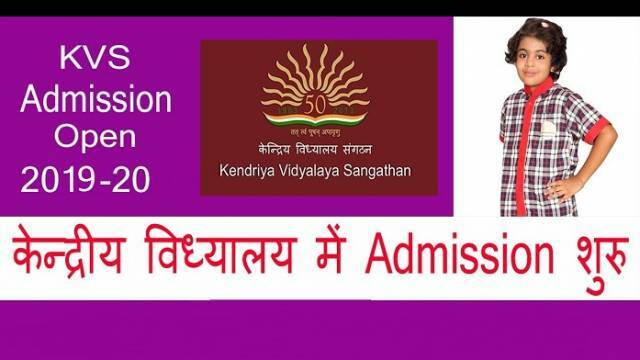 The First Merit List for Class 2 and onwards for the academic session 2019-2020 of Kendriya Vidyalaya Sangathan (KVS) begins. The first merit list for admission in Class 2 and onwards is available on the official website of KVS—kvsangathan.nic.in. The First Merit List for Class 2 and onwards for the academic session 2019-2020 of Kendriya Vidyalaya Sangathan (KVS) begins. The first merit list for admission in Class 2 and onwards is available on the official website of KVS—kvsangathan.nic.in. Students should visit the official website to check their name in the first merit list and other important details regarding the admission process. Registration for Class 2 to Class 9 - 03 April 2019, from 8 am to 09 April 2019, till 4 pm. Note: During School hrs. For KV students: Registration for admission in class XI: Within 10 days after the declaration of Board results. Note: List of children registered, list of eligible children, category wise list of provisionally selected children, waiting list and subsequent lists to be compulsorily displayed on the website of Kendriya Vidyalayas concerned, in addition, to display on School’s Notice Board. If any of the dates happen to be a public holiday the next working day shall be treated as the opening/closing date.